With just one visit to Fleming Aviation’s flight school, potential and current pilots know they are entering some place special. In a day and age where businesses want to pump through customers and hit the fast pay day, Fleming Aviation remembers to focus on what’s important: sharing the love of aviation with others. Not only is Fleming Aviation the leading Light Sport Pilot (LSA) training center in central Maryland, they can assist pilots in the purchase of light sport aircraft. 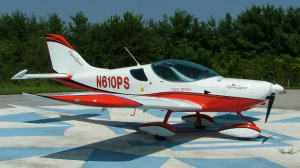 Fleming Aviation is the mid-Atlantic representative for the CSA SportCruiser as well as the Northeastern Region dealer for the Groppo Trail aircraft. Even though they sell and promote LSA training, Fleming Aviation is equipped to instruct pilots in private training and instrument flight training in two locations: Davis Airport in Laytonsville, MD and Hyde Field in Clinton, MD. The Fleming fleet consists of three PiperSport LTD aircraft, and an IFR certified AMD Alarus CH2000. Just as pilots with Fleming Aviation know there is something special about the flight school, pilots who shop their aircraft insurance with Aviation Insurance Resources (AIR) get that feeling, too! All agents at AIR are pilots or come from a strong background in aviation. When you call AIR, you will always find yourself talking to a person who is as excited about your aircraft as you are. Whether you are looking for flight school insurance or flying club insurance, Cessna 150 insurance or King Air insurance, all of our agents at AIR will take your needs personally as if it were their own. We are our own clients! With two convenient locations in Laytonsville and Clinton, MD, Fleming Aviation is open 7 days a week from 9am to 5pm and by appointment. Contact them via email at info(at)flemingaviation.com or call 240-252-5181 today! To find out more about Aviation Insurance Resources and to receive an aircraft insurance quote, please contact Aviation Insurance Resources by calling 877-247-7767 or visit AIR-PROS.com today. You can also follow us on Facebook, Twitter, LinkedIn, and Google+.